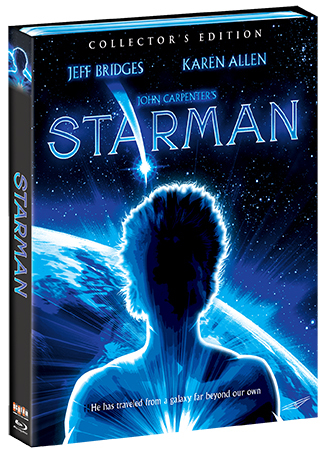 When his spacecraft is shot down over Wisconsin, Starman (Bridges) arrives at the remote cabin of a distraught young widow, Jenny Hayden (Karen Allen), and clones the form of her dead husband. The alien convinces Jenny to drive him to Arizona, explaining that if he isn’t picked up by his mothership in three days, he’ll die. Hot on their trail are government agents, intent on capturing the alien, dead or alive. En route, Starman demonstrates the power of universal love, while Jenny rediscovers her human feelings for passion.